Crit Hit Offers Free Badge and Cash for Phoenix Comicon 2017 RPG GMs! Crit Hit is offering badges and a stipend to Phoenix Comicon 2017 RPG GMs. See the announcement below for sign-up and details. 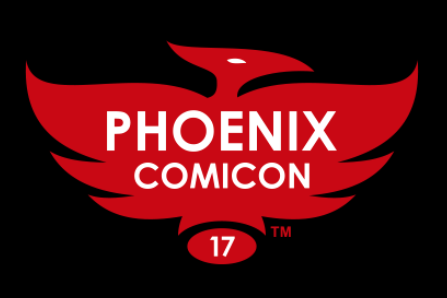 Greetings Game Masters, Crit Hit is proud to announce to you that we will be running a room of RPG’s at Phoenix Comicon! We need GM’s to help run games at the con. Here’s the deal: You run 3 rpgs, for a total of 12hrs (3 games @4hrs each) over the course of 4 days and you will receive 2 FULL EVENT PASSES AND A $30 stipend. Simple right? This is a fantastic way of getting in to Phoenix Comicon and helping promote what Crit Hit is all about! I will also have the GM sign up for Crit Hit 2017 up next week. Please feel free to share the link, I realize this is a little short notice but we really could use your help to help expose Crit Hit to the Phoenix Comicon audience! Phoenix Comicon 2017 RPG events look to be much better than in years past. The benefits package for DMing are really good, at least equal to what you find at Gencon or Origins. In fact, they might even be better because they throw in a stipend for snacks.